The Lake Siskiyou Trail, possibly the most popular trail in the Mount Shasta area, is already a great hiking resource. It boasts beautiful scenery, neat trail engineering, a gentle grade throughout and easy access all the way around the lake. Yet, thanks to the tireless efforts of the Mount Shasta Trails Association, the trail has been significantly improved in the last couple of months. 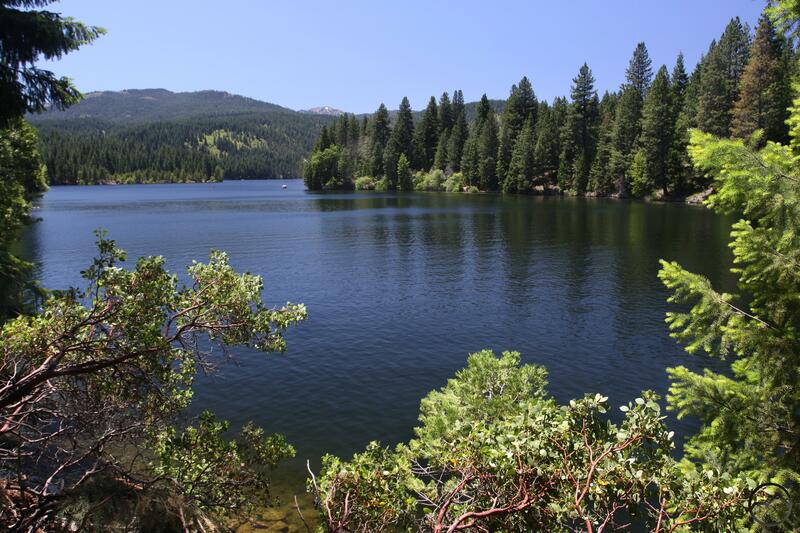 For most of the trail’s circumnavigation of Lake Siskiyou, it has open views and stays within sight of the water. If it does veer away from the lakeshore, it often passes through pleasant forest or meadow. The one really unpleasant section of the trail was the stretch from the Box Canyon Dam parking area to the Lake Siskiyou Resort parking area. This part of the loop is immediately adjacent to W.A. Barr Road. The car traffic and the development of the Mount Shasta Resort has always been a big distraction and is quite jarring compared to the rest of the trail (even accounting for the section of the hike through the Lake Siskiyou Resort, which also has a lot of activity, but the camp atmosphere permeates the area and is not nearly as bad as along the road). Thankfully, a new section of trail has been completed that hugs the edge of the lake and bypasses all the development and activity along W.A. Barr. This is a huge addition to the Lake Siskiyou Trail. Instead of the most unpleasant part of the loop, it is now one of the prettiest, with views of the lake, the Castle Crags, Gray Rock Dome, Porcupine Peak, Mount Eddy, the Wagon Creek Bridge and Mount Shasta. All of this is had from a gentle trail that stays well away from the road. Car traffic has now been replaced by the sounds of ducks and people enjoying the water. The asphalt trail exposed to the sun has now been supplanted by a shaded path. All in all, it is excellent. The new path can be accessed from either the Box Canyon Dam parking area or the Mount Shasta Resort parking area. At the latter, the trail is at the east end of the parking area, just a few yards from the map kiosk. At the former, the look for the restroom at the midpoint of the parking area. The trail heads down to the lake from there. The old section along the road was about 0.4 miles between parking areas. The new addition is about 0.6, but much, much nicer. The new section is added in blue. 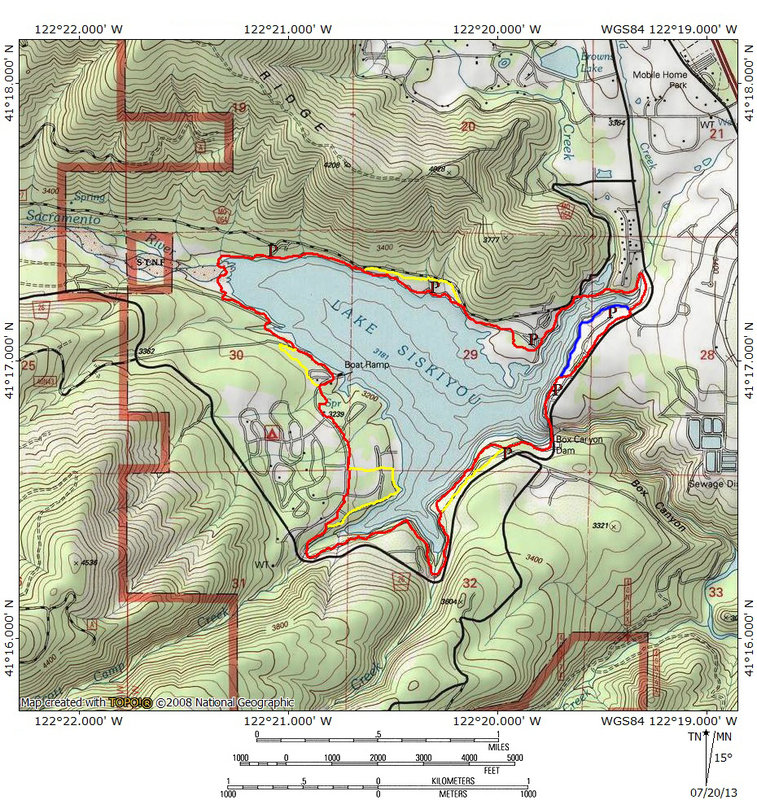 In the past, the two best segment hikes on Lake Siskiyou were the north and south shore sections of the trail. With the addition of the portion, a third, equally beautiful option has been created. Beginning at the Box Canyon Dam, hike the new section of the trail along the lake to the resort parking area. From there, pick up the traditional route, swinging around into the shallow canyon of Cold Creek. Proceed along the Cold Creek arm of Lake Siskiyou on a trail slung on a steep slope. Cross the Wagon Creek Bridge and continue to the trailhead at meadow and kids lagoon. From there you can either turn around or make a nice loop through the meadow before heading back to the trailhead. In terms of scenery and interesting trail routing, this section of trail has as much or more than the two aforementioned segment hikes. Come winter, when the high country is buried in snow and there are fewer available hikes, this is a huge and very scenic addition. 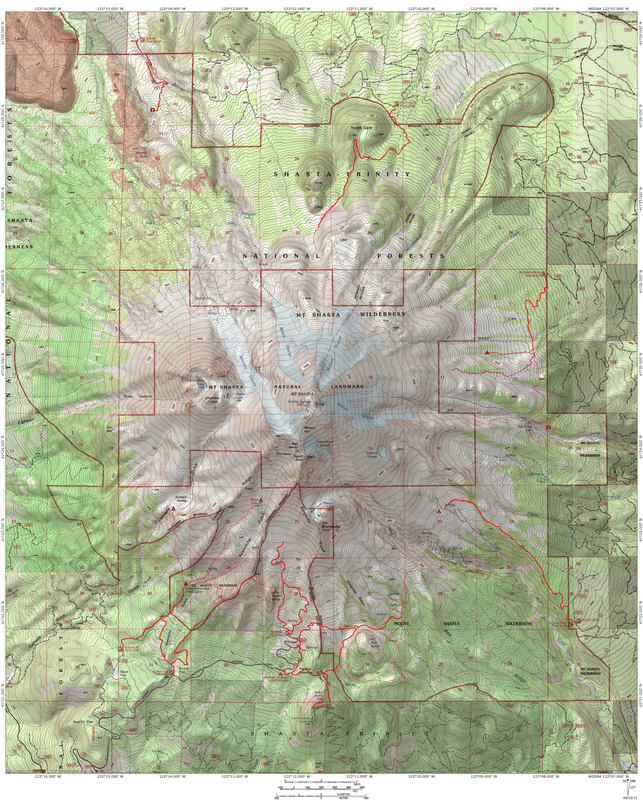 A special thanks must be made to all the volunteers at the Mount Shasta Trails Association. There hard work in both the planning and implementation as well as the labor of actual trail building as made this and many other areas a reality. This is great! That section of the trail was the weak link. Thank you Trail Assoc. Many thanks to the Trail Assoc for their excellent work. I’m sure they are all volunteers, and appreciation is important to them!. And thanks too, to you Bubba, for your excellent site and regular posts about how to get out and appreciate this beautiful place we call home.